This activity about the environment is a 5- task activity that will let your students discuss about the environmental issues and solutions. This downloadable handout is recommended for business/professional students, high school students and adults at Upper-intermediate (B2), Advanced (C1) and Proficient (C2) level. 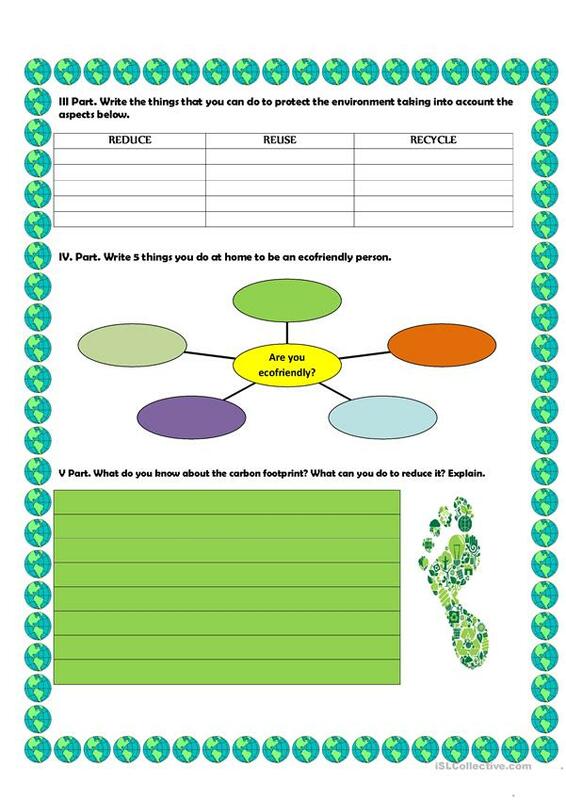 It is excellent for working on your students' Listening, Spelling, Speaking, Reading and Writing skills. 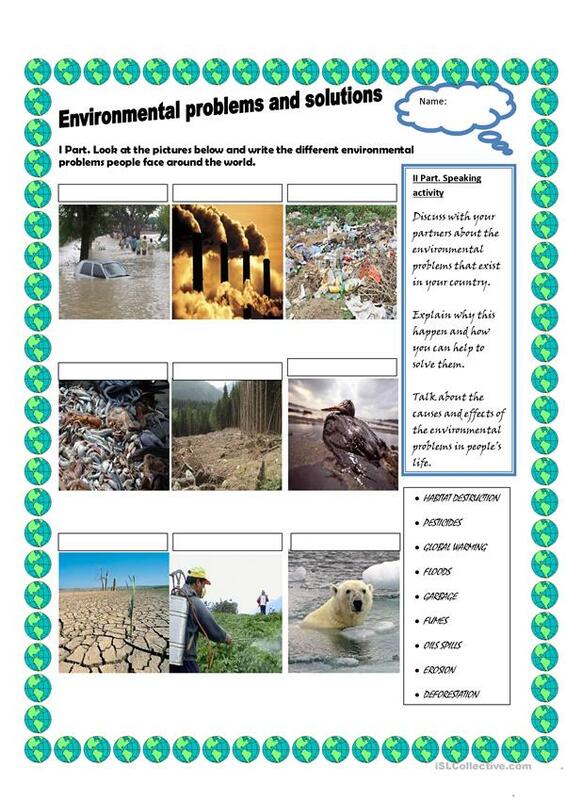 It features the topic and words of Environment.